Directed by Anurag Singh. With Akshay Kumar, Parineeti Chopra, Suvinder Vicky, Vansh Bhardwaj. 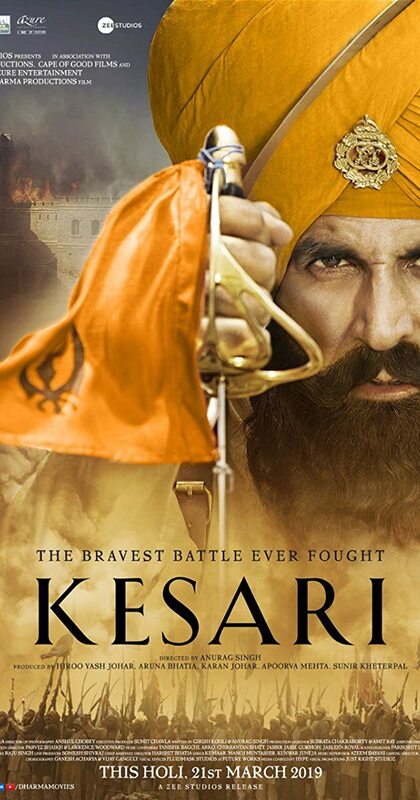 Based on an incredible true story of the Battle of Saragarhi in which an army of 21 Sikhs fought against 10,000 Afghans in 1897.